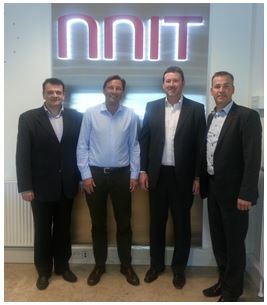 FTL Group Technologies Limited, holds a strategic partnership with NNIT, a global IT services organisation, headquartered in Denmark. This relationship was primarily forged, to serve client demand, within the life sciences domain, to deliver a paperless validation solution, based on HPE ALM, which would be fully 21CFR Part11 compliant. Through this partnership, FTL Group has access to technology, information and life sciences experts, who deliver integrated IT consultancy services and solutions that increase the capabilities of key areas with the pharmaceutical value chain, including drug development, regulatory affairs, quality management and serialisation. NNIT is a publicly quoted company, with over 2,500 staff, a global footprint and trading on the Danish Stock Exchange. With more than 20 years’ experience, NNIT understands the business and IT challenges faced by organisations operating in the Life Sciences domain. The FTL/NNIT Partnership has developed significantly and offers a comprehensive solutions portfolio to the regulated Pharma/Bio-Pharma domain. Enterprise Hybrid Cloud based on Azure, supporting GXP environments.